The Lake Havasu Area Chamber Ambassadors held a ribbon cutting for Accurate Measures, celebrating its 15 year anniversary. Attending the ribbon cutting from left to right are Marshall Ronningen, Craig Boxberger, Scott Stroup, Jarrett Nunamacher, and Linda Sugamele. 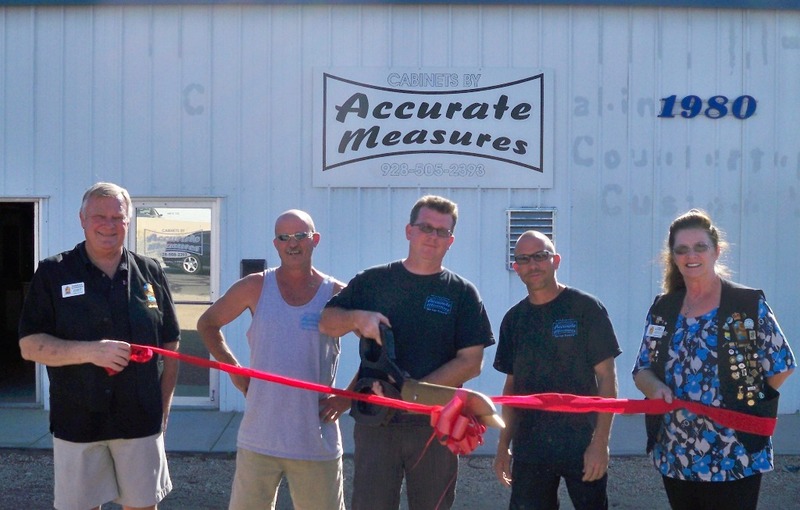 Accurate Measures specializes in products ranging from custom cabinetry to solid countertops. Accurate Measures is located at 1980 San Juan Dr. #104. For more information contact them at (928)505-2393.